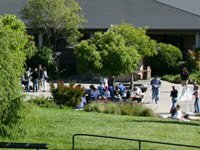 Double-click the Network and Sharing Center icon. 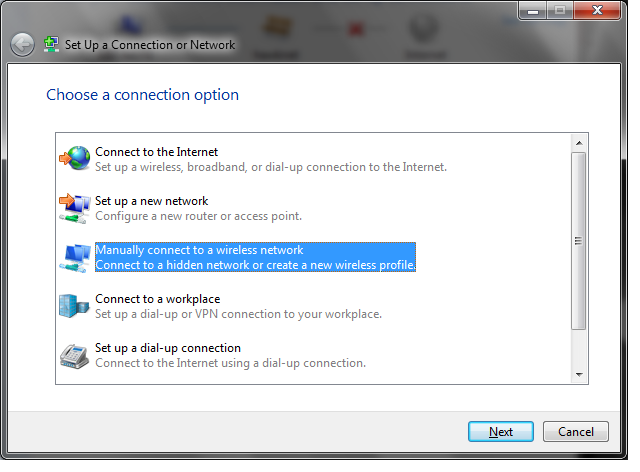 In the window that opens, click "Set up a new connection or network". 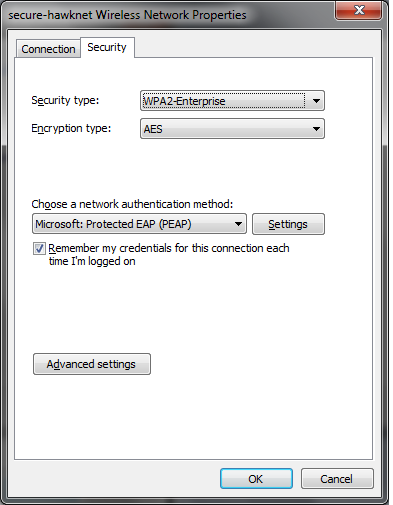 When the Set Up a Connection or Network wizard appears, Select "Manually Connect to a wireless network" and click "Next". 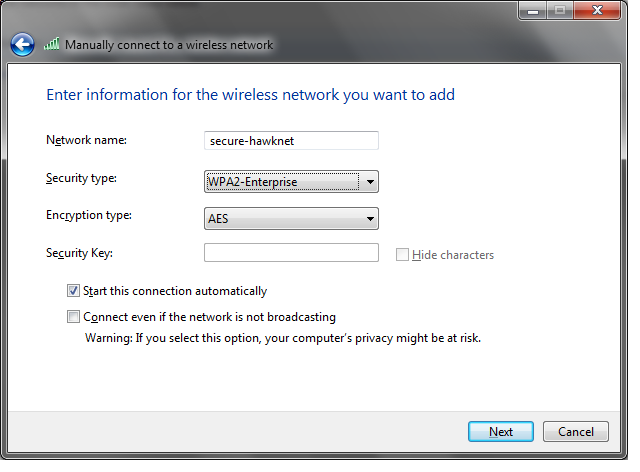 Enter the SSID "secure-hawknet" (without the quotes) in the Network name field. 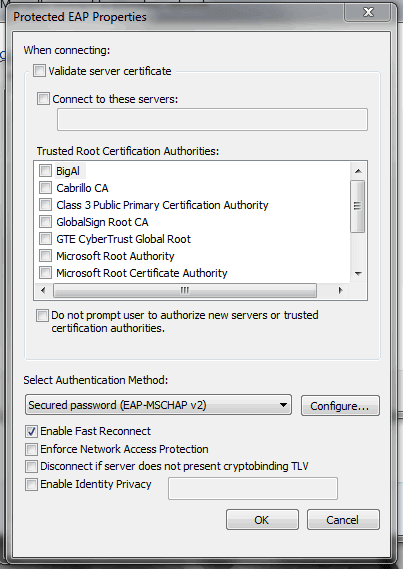 Uncheck "Connect even if the network is not broadcasting"
Check "Remember my credentials for this connection each time I'm logged on"
Select "Microsoft: Protected EAP (PEAP) as the network authentication method"
Uncheck "Connect to these servers"
Uncheck "Do not prompt user to authorize new servers or trusted certification authorities"
Uncheck "Enforce Network Access Protection"
Uncheck "Automatically use my Windows logon name and password (and domain if any)." 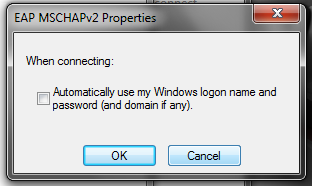 Click "OK" to close the dialogs you opened. 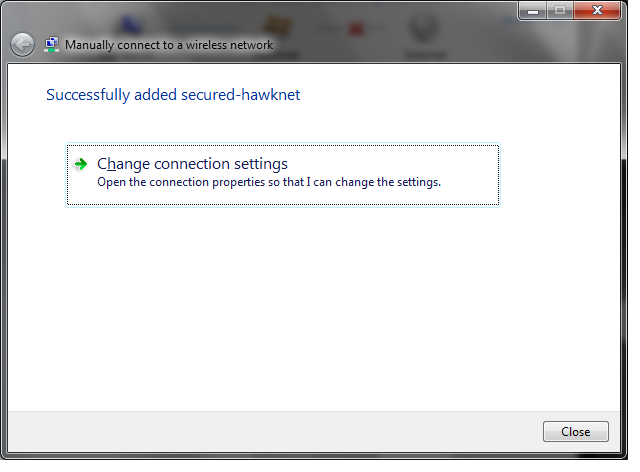 You should now be able to connect to secure-hawknet. 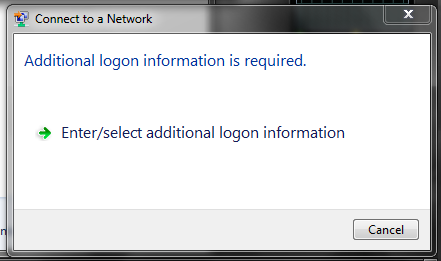 NOTE: You may be prompted to accept a certificate. If so, choose to accept it. 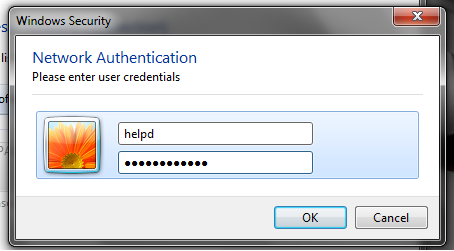 NOTE: Your system might prompt you to accept a certificate called "idengines". If so,agree to accept it.